Do you know the formula for fun? 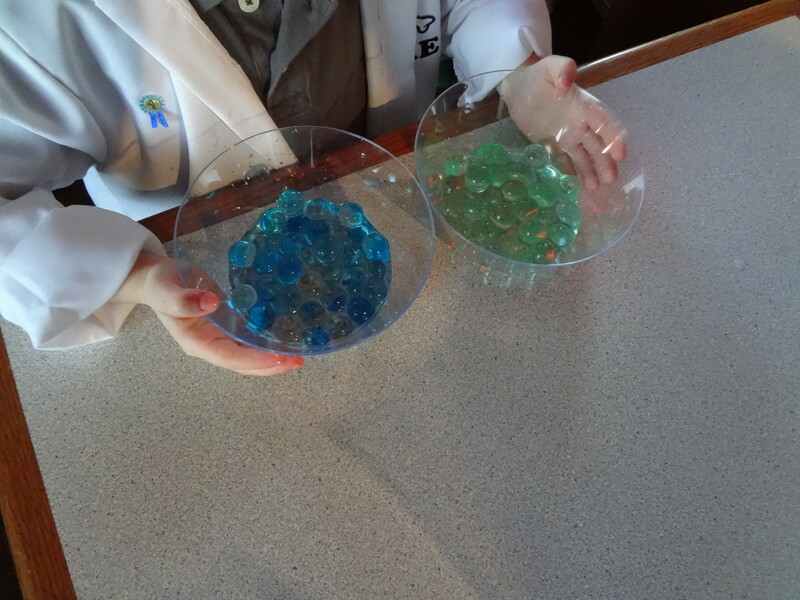 Science themed parties are a blast for kids and for adults. They can be spooky and they are tons of fun for birthdays, Halloween, school, or anytime you want to have a great party. Mad science and mad scientists are becoming more and more popular. 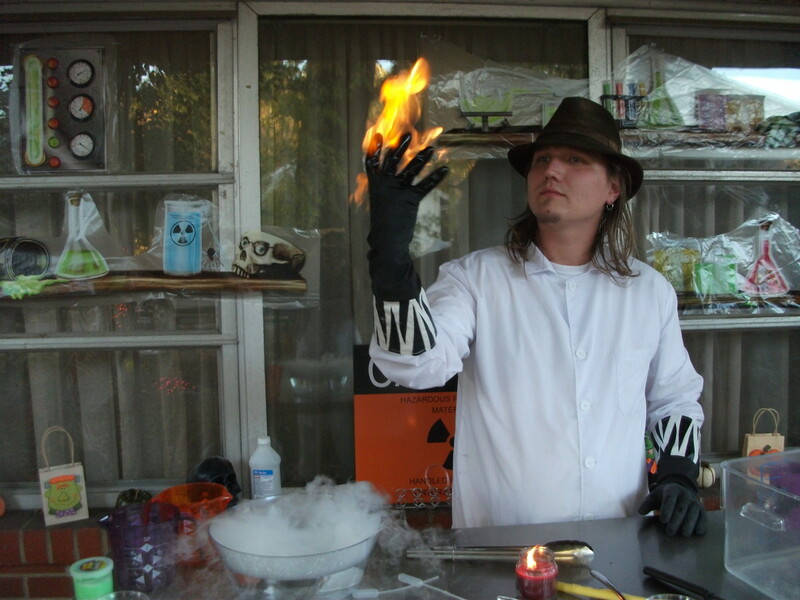 Below you will find ideas and information on how to throw the best mad science party ever. There are science themed invitation ideas, costumes, decorating tips, party supplies, food and drink ideas, experiments to try, party games, music, and suggestions for favors. So put on your lab coat and get ready to brew up a formula for an awesomely fun party. You can usually find science party themed invitations at party supply stores or online, especially closer to Halloween. You can also design your own invitations. Make the invitations really creative and your party will be full of guests. Curl up invitations to fit into test tubes. Print invitations at home. Include clip art of lab equipment and other science pictures. Most document processing programs should have templates for invitations that will make it easy to create. There are great mad science party invitations examples here. Cut the invitations in the shape of a beaker or other lab equipment. Use hazardous materials and caution stickers to seal the envelope. Send the invitation curled up in a test tube or in a Petri dish. You can deliver the invitations by hand or stick the tubes in envelopes to mail. Plastic test tubes will be best for this. Use invisible ink to write the message. The easiest/most fun way to do this is to write the message with lemon juice on a white piece of paper. Include a small note for guests to put the paper in the oven on 350o for 5 minutes to decode. Cook up edible invitations. Bake cookies decorated like elements from the periodic chart or in other neat science shapes and send them along with an invite. 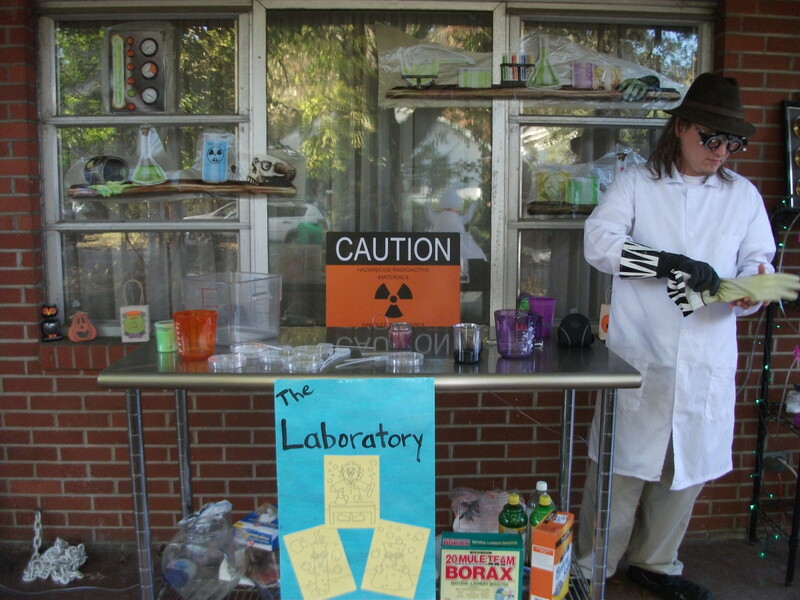 The treats will get guests excited for more science fun. 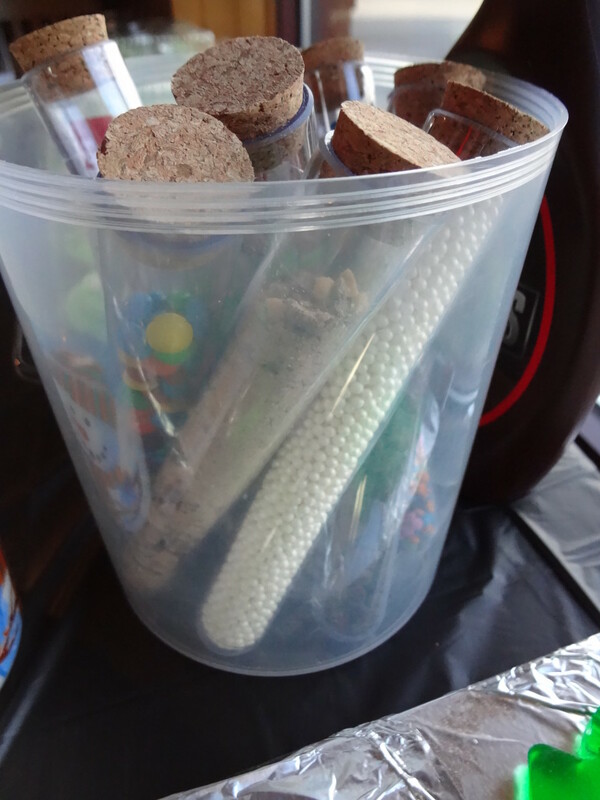 There are tons of uses for these test tubes at a science party. You can even fill them with candy as favors. These test tubes are great for holding party invitations, for science decorations, and to play with during the party. This is a kitchen prep table decorated to look like a lab cart. Spooky looking items found around the house. Setting the scene for the party is all about the science decorations. Decorating for the party can be as simple or as complex as you would like. You can decorate the whole party area or just the main table. You can make the party décor just science themed or you can add in other spooky elements to create a mad science effect. A lot of things you already have at home will work for décor. Clear off microwaves carts to look like lab tables. 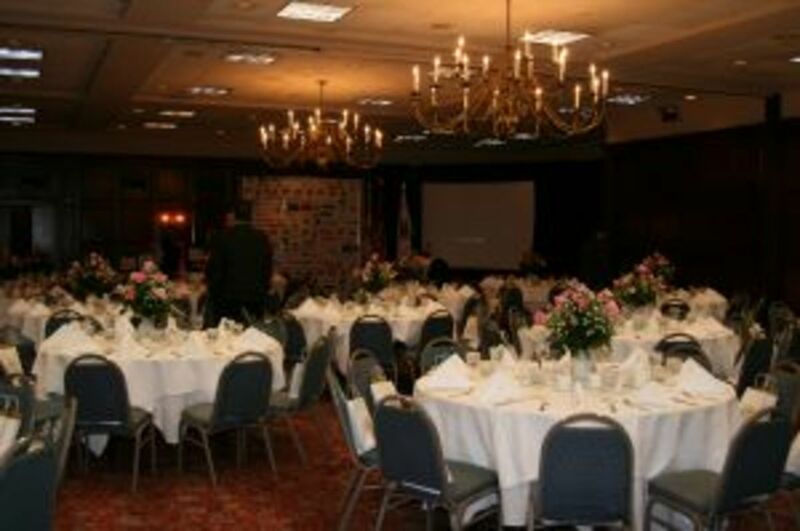 Use black or white table cloths or sheets to cover furniture. Use clear shower curtains to partition "containment" or "biohazard" areas. Search around for things in your house that might look like lab equipment. Plastic lab equipment and supplies are relatively inexpensive as well. You can purchase a few items for the party if needed. You can print out hazardous materials, caution, danger, and other lab warning signs. You can also print out pictures of famous scientists, the periodic table, and other science related pictures. Write the symbols for the elements on balloons and place them around the party. You can even use them as name cards by writing each child's name using elements. 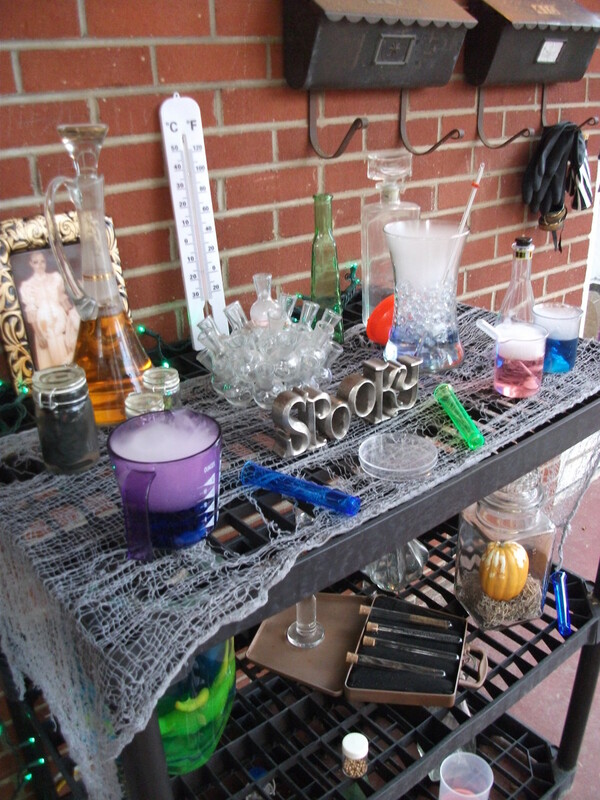 Some Halloween decorations are also good for a mad science theme (bats, spiders, web, Frankenstein and other monsters, potions, etc.). Lab supplies with different effects (dry ice, colored water, specimen jars, water beads). Bottles and jars found around the house. The lights really give these simple bottles an eerie look. There are lots of details that can be added to the containers to make it look more like a strange laboratory with chemicals bubbling and brewing. 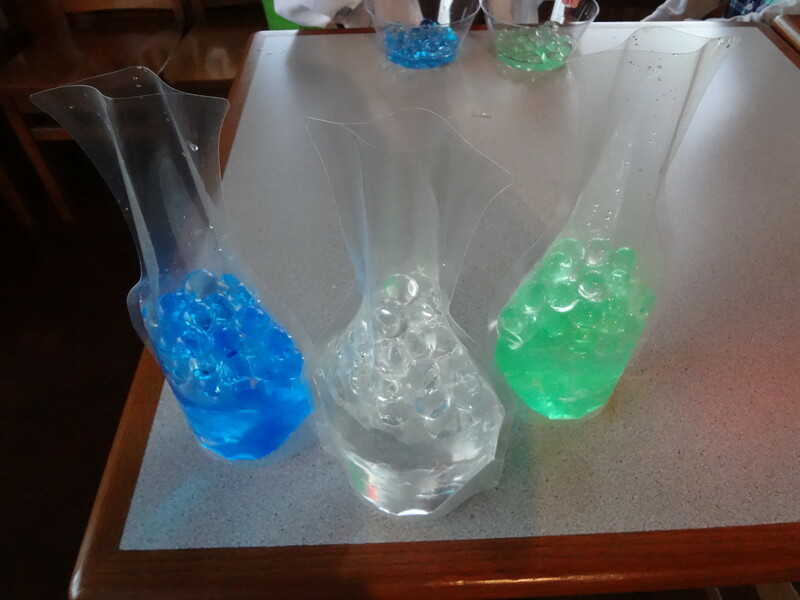 You can add water beads to beakers and other containers. They are polymers that absorb water and grow to the size of a marble. You can find them in craft stores and floral departments. They are usually used for vases and flowers. You can add food coloring into the water and they will change color. The look really neat and seem like something a mad scientist would concoct. Just putting food coloring in some water and adding it to test tubes or other lab supplies has a simple, but amazing effect. It makes the test tube look like it is full of chemicals. You can add glitter to some of the containers as well. It just adds to the chemical look. It can be mixed in with water or just added by itself. Buy or make slime and put it into a few of the containers to give the lab "chemicals" a different texture and look. Putting a few drops of dish liquid in to the water is another easy effect. It adds cool bubbles and looks like a potion is underway. Put grow creatures in bottles. Let them absorb water and get to their full size. Then put them in jars to look like specimens. Add labels and other decorations and you can have creepy looking creatures in your lab. 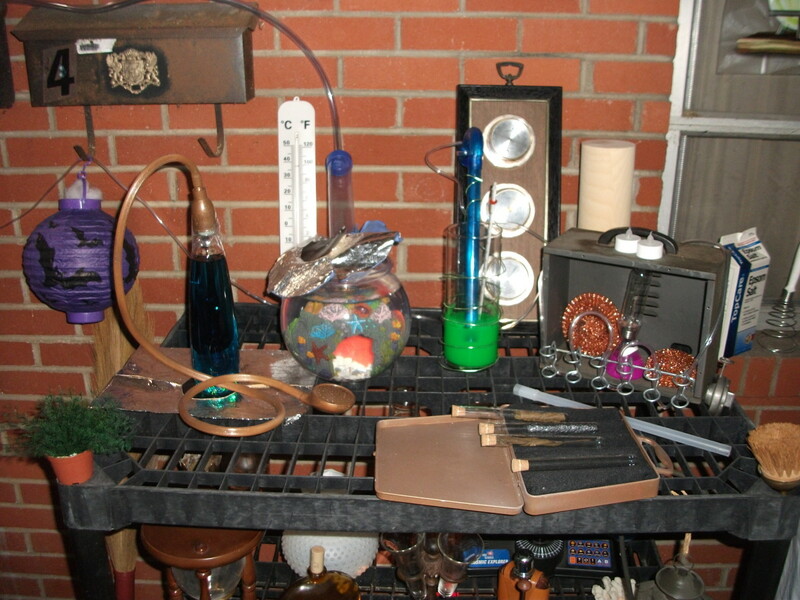 Collect other unusual and science themed items (bugs, chicken bones, etc.) to put in jars for specimens or other lab supplies. Lights are a great addition. There are submersible lights that you can drop down in beakers to light up the "chemicals." 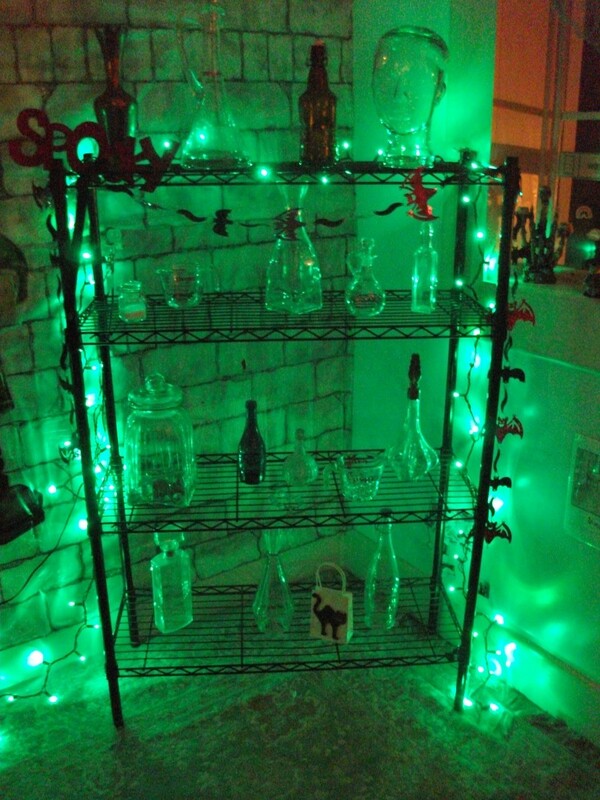 Or you can wrap lights around your lab decorations. There is even glowing wire that you can use to wrap around containers. Set up a black light near the decorations. Put things in the containers that will glow under a black light. Energy drinks with B vitamins will glow yellow. Tonic water glows blue. Tell guests the chemicals are radioactive. 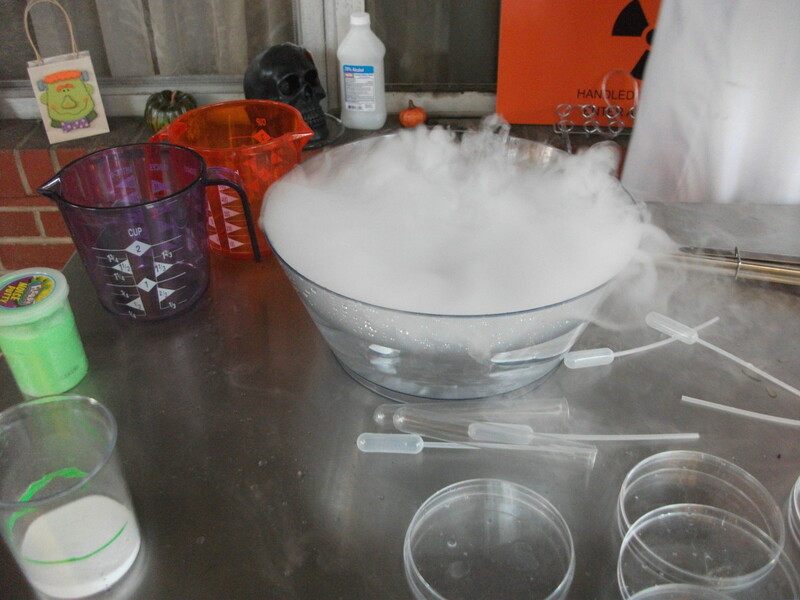 Dry ice is probably the best effect to add to the lab supplies. Put a small piece or two in some warm water and it will bubble and fog. It will really seem like the chemicals are dangerous and reactive. You may need to add a bit more throughout the party to keep the effect going. You can even add in a drop or two of dish liquid to add more bubbles. Add these water pearls into lab beakers and containers for a strange looking concoction. 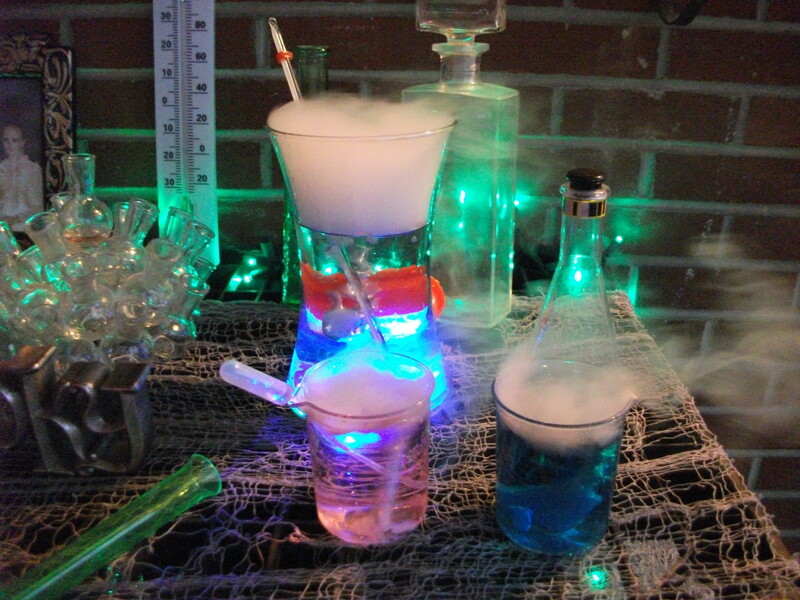 Great kit to create a mad lab for your party. 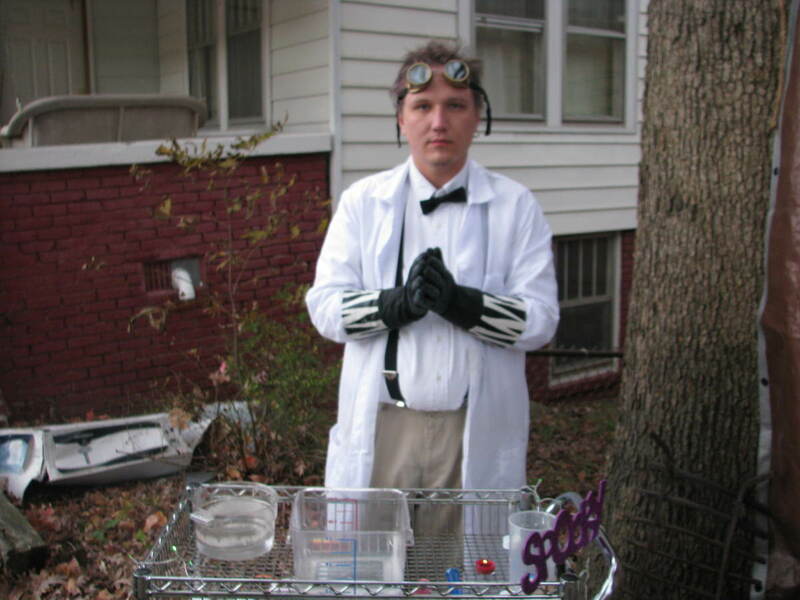 Basic mad scientist costume with lab coat, rubber gloves, goggles, and extra geeky touches with the bow tie and suspenders. 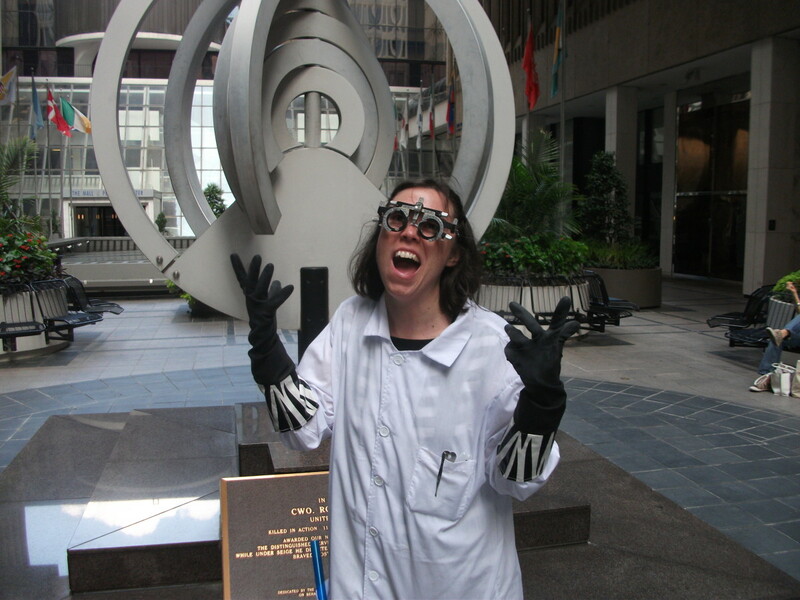 Costumes are another great way to get into the mad science mood. Scientist costumes are very easy to create. You can make your costume really stand out by sticking gadgets and instruments in your pockets. These things will definitely make you look mad: tweezers, tongs, and even test tubes. Wrap glowing EL wire around you or stick it in your pocket for a cool effect. Encourage guests to wear costumes as well. Include a note on the invitation and get the word out when you mention the party to people. Give prizes for the best costume. Let guests know there will be a contest. 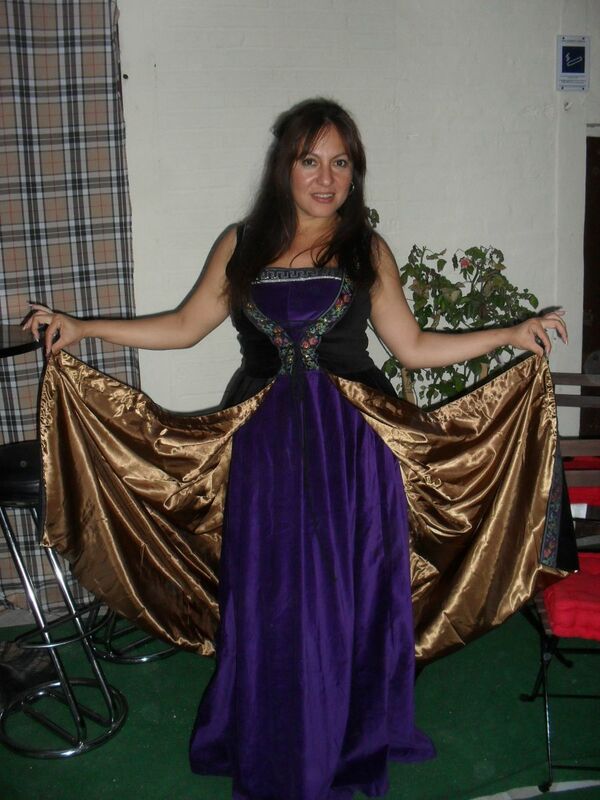 You can also provide simple costumes for guests. Lab aprons (art aprons) can be purchased in bulk. Disposable lab coats or coveralls will also work for guests and are usually inexpensive. Safety goggles or masks can be given as party favors as well as other mad scientist costume gear and apparel. You can make "lab coats" as a party activity. This is especially good for kid parties. Use a white t-shirt, preferably one that will be long on the person and v-neck. Cut it down the front. 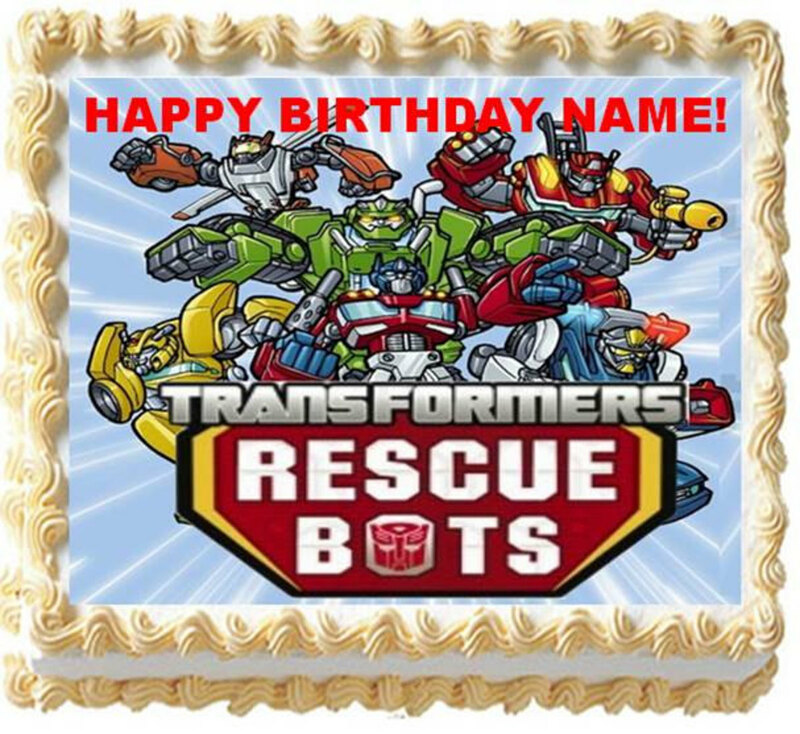 Add embellishments like name tags, buttons, pockets, etc. These safety glasses are the perfect addition to a mad scientist costume. They are also great to give to guests to wear during the party and as party favors. 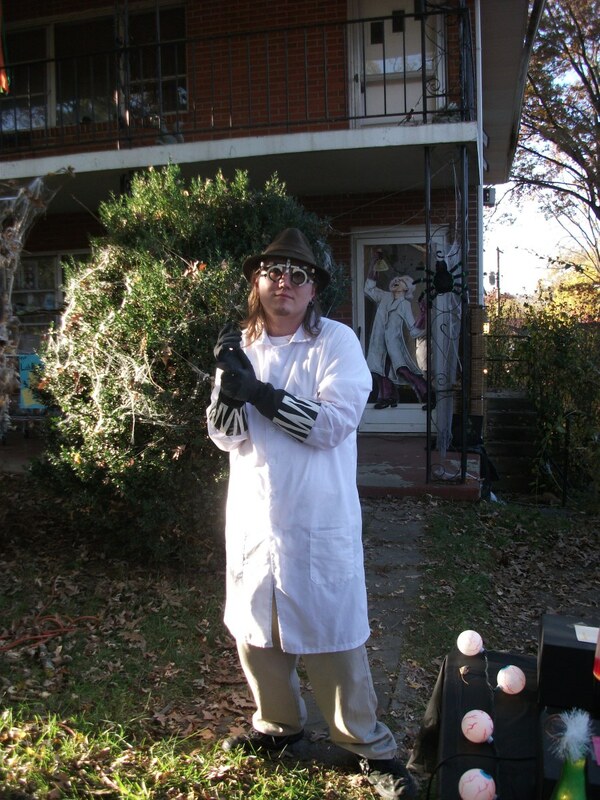 No mad scientist costume is complete without a lab coat. You can find them in adult sizes and child sizes. 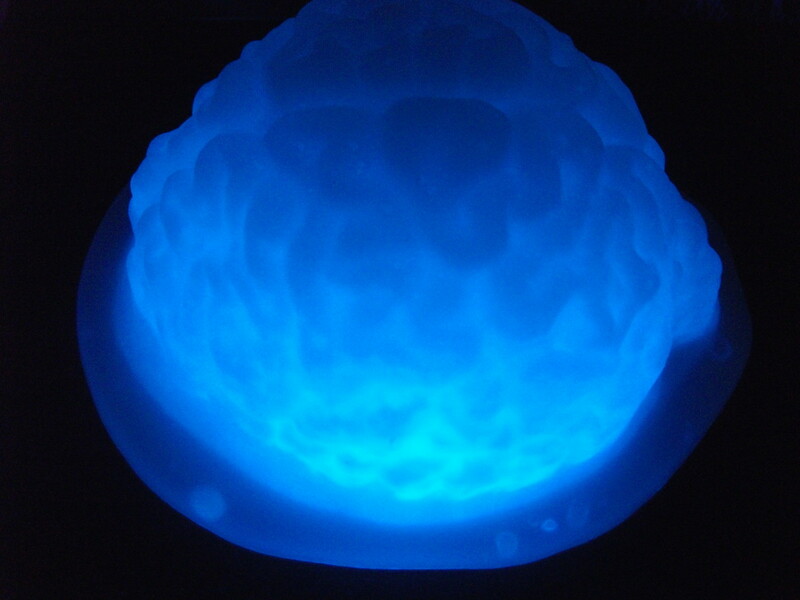 Glowing Jello brain made with glowing tonic water Jello. The food for the party doesn't have to be complicated. Achieving the desired effect is really about presenting the food in a way that makes it look like it is lab food. Use lab equipment for serve ware. Lab trays work as plates and serving trays and lab supplies for utensils (tongs or tweezers for forks, scalpels for knife, etc.). Stick thermometers in the food. You can also use glow in the dark (black light reactive) serve ware. Black/white/green/purple solid colors will also fit the theme well. Think Halloween when you are planning the food. Spooky and gross foods will be good to serve. Get brain and body part molds for food. Use it to mold spaghetti, ice cream, or Jello. Make eyeball shaped food. Eyeball cookies and candy are easy to do. Boiled eggs can also be decorated like eyes just by dabbing some red food coloring on them to look like veins. Use science themed cookie cutters and use them on sandwiches. You can have beaker-shaped sandwiches. Serve glow in the dark foods if you are going to have a black light. White foods are reflective. These foods also glow: oil, caramel, honey, syrup, and milk. Have a volcano cake. 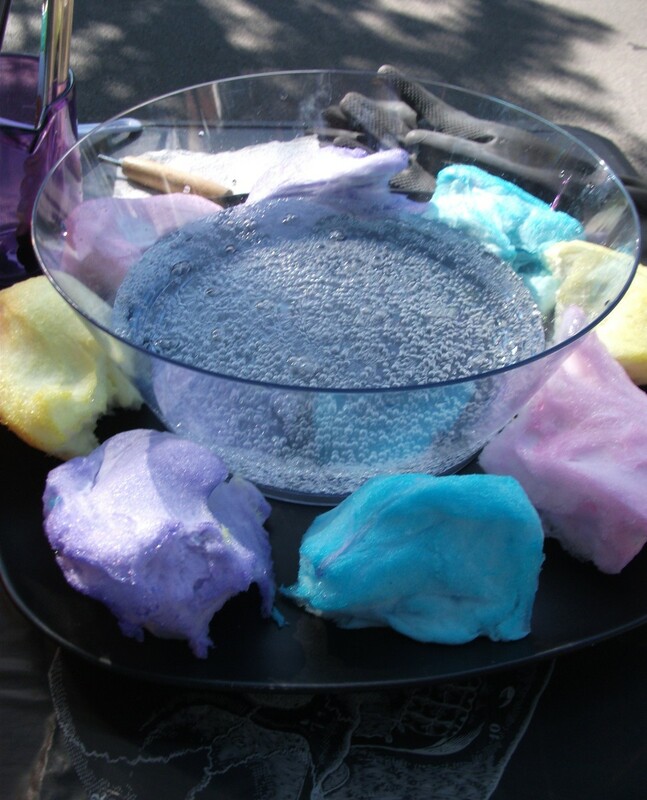 You can even make it "erupt" by adding dry ice in the middle. Make a beaker-shaped cake. You can put dry ice in the middle of it too so that it will fog and look more realistic. Add sparklers to the cake or cupcakes for a fiery effect. Use candles with colored flames. Most party stores carry them and you can even find them in many grocery stores now. 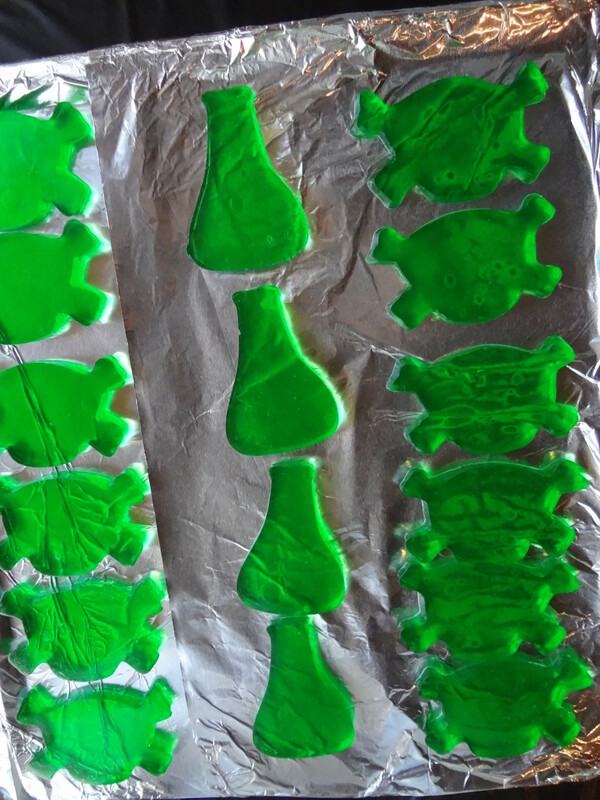 Use Jello molds to make science shaped pieces. 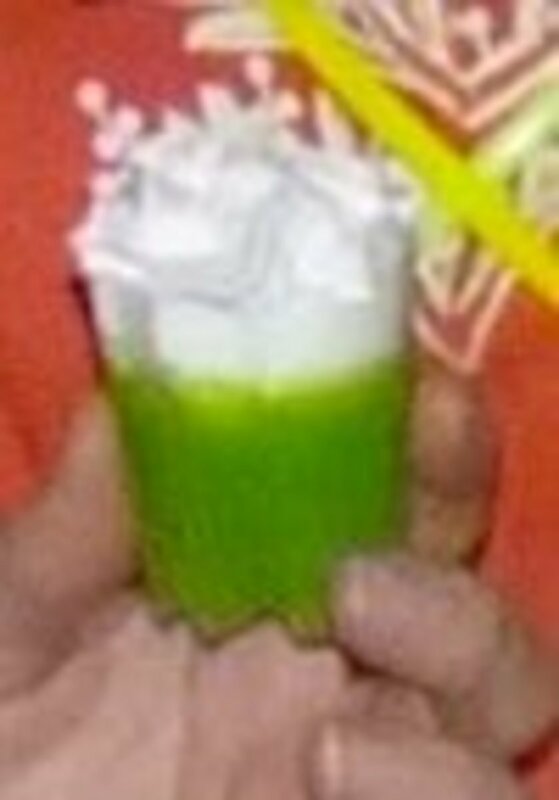 Or make a giant mold with a clear colored Jello and add gummy worms and other strange things in the middle. Make glowing Jello by substituting tonic water for regular water. Bake brownies and then serve them in Petri dishes so they look like specimens. 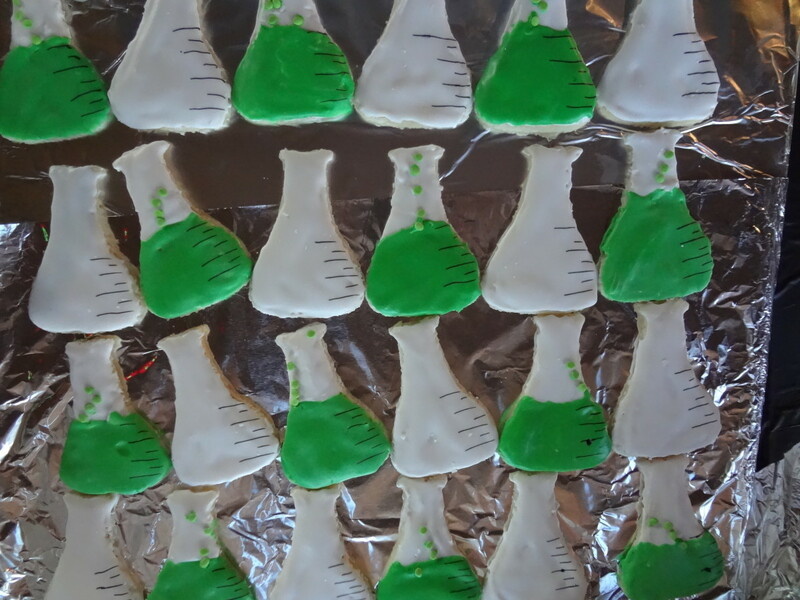 Make science shaped cookies. Or decorate the cookies to look like the periodic table. Check out FamilyFun.com and Parents.com for more spooky food ideas. Neon green silverware that will glow under a black light. The easiest way to create drinks that seem like they came straight from the lab is to actually serve the drinks in lab equipment. Use droppers for straws and stir sticks. Thermometers and stirring rods and even glow sticks are also great for stir sticks. If you drop cotton candy in Sprite or Sierra Mist, it will cause the drink to become fizzy and change colors. Pour Pop Rocks in drinks for a fizzing effect. Or rim glasses with Pop Rocks. Dry ice swizzle sticks are the best way to create fogging drinks with dry ice that are safe to serve guests. They are child proof as well. Just put in a piece of dry ice, click the container to lock it, and then stick it in the drink to start the fog rolling down the cup. Drinks with special effects. Learn how to create drinks that glow, fogging drinks, flaming shots, Pop Rocks cocktails, ice cups, and more. These glowing test tubes are great for drinks. Use these droppers in your drinks or in your experiments. This experiment is just dry ice and dish liquid in water. Links to simple and fun mad science experiments. Inspiration board for mad science ideas, products, and more. Water beads are squishy and fun to play with. The best part of a mad science party is the experiments. There are lots of great experiments to try at science parties. Most of them are really easy and they are loads of fun. 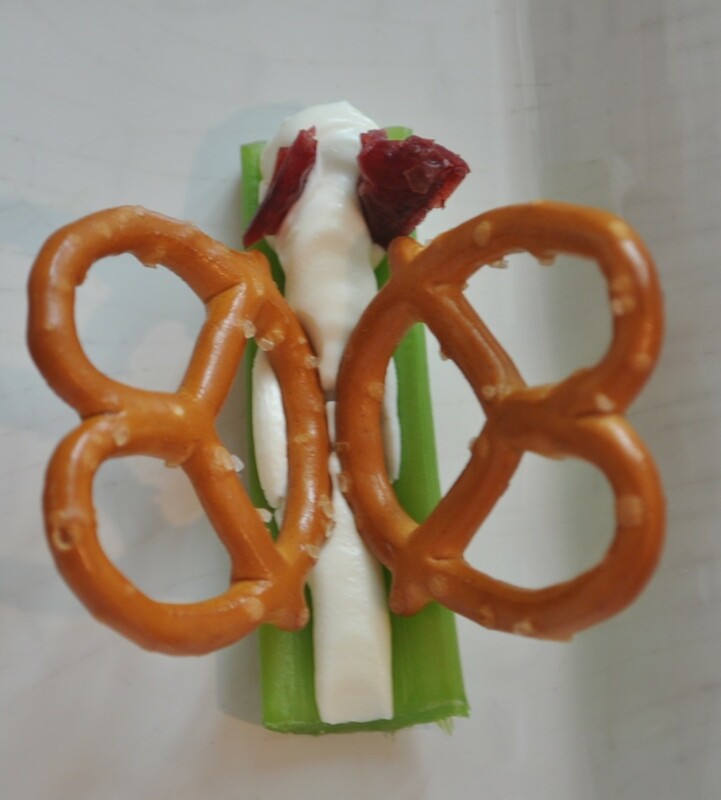 These experiments are great for kids and entertaining for adults as well. Create an erupting geyser with 2 liter soda bottles and Mentos candy. Drop about 5 pieces of candy into the bottle at one time. The easiest and most effective way to do this is to use a geyser tube (see picture below). You can also use a rolled up piece of paper to act as a funnel to drop the candy in. There are tons of fun activities to do with bubbles. You can make glowing bubbles, square bubbles, bubbles you can actually touch, and even light bubbles on fire. Make a tornado in a bottle by connecting two 2 liter bottles. Use tape or buy a tornado tube. Fill one of the bottles with water. Add in food coloring and glitter if you want. Then tape the other bottle to the top at the openings (or connect the tube). Flip the bottle over and give it a spin. Watch the water funnel down. Light your hands on fire. It sounds scary and dangerous, but it is relatively safe as long as you follow proper safety measures. Basically you will mix alcohol and water. The water will insulate your hands as the alcohol burns. This will really impress the guests at your party. Eruptions and fizzles are simple to do. Mix baking soda with vinegar and/or lemon juice to make a quick and easy volcano. It will bubble and fizz and even run over the container if you add enough. Mix up instant snow. It is made of polymers that absorb water. It starts out looking like powder. Then when water is added, it looks and feels like real snow. Water beads work the same way as instant snow and are fun for older kids to play with. Add water to them a few hours before the party starts and they will turn into squishy beads. Concoct a color experiment. Younger kids will love this. Just fill some beakers or other containers with colored water. Let the kids use droppers to mix the colors. Have fun with glowing experiments. Get a black light and play with stuff that glows. Petroleum jelly will glow. Use it to write messages. Tonic water also glows. Make a glow in the dark geyser with tonic water and Mentos. Play with homemade slime. There are several recipes out there. To make the one that is the gooiest slime, mix 1 tablespoon of Borax with water and white school glue till you get the consistency you want. Kids will enjoy mixing this up. **Check out the links to the right for more detailed experiment instructions and ideas. Make a blizzard inside with this snow powder. Just add water to these polymers to make instant snow that looks and feels real. This tube makes creating soda geysers a snap. Just twist it to the top of the bottle, add the candy, and then pull the string to release the fizzy explosion. What mad science experiment will you try? 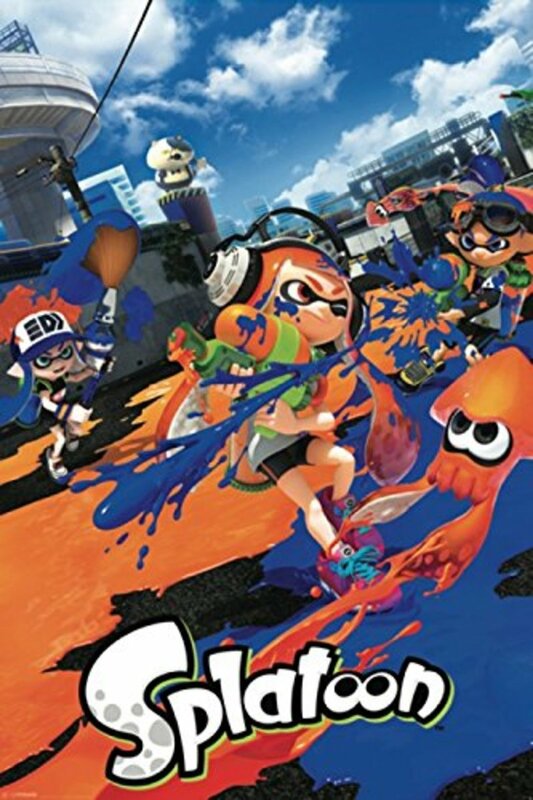 I can't wait to get my hands on some gross slime. I want the party to be cool with dry ice. I'll light things up with glowing experiments. I'll blow this party up with the geyser. The party will be hot when I light my hands on fire. Along with science experiments, there are also fun party games you can play. These might be good for kids who need to let out some energy. Have an invisible ink scavenger hunt. Write clues using invisible ink that the kids must decode. You can also leave glowing clues using petroleum jelly and a black light. Make feely boxes for the kids to explore. Put food in boxes and pretend they are body parts or other gross things. Use wet noodles for guts, cauliflower for brains, sliced almonds for fingernails, peeled grapes for eyes. Play zombie tag or monster themed tag. Or you could play glow stick tag where the person who is "It" carries a glow stick. When someone is tagged, they get a glow stick and hunt for the others also. Do a test tube relay. 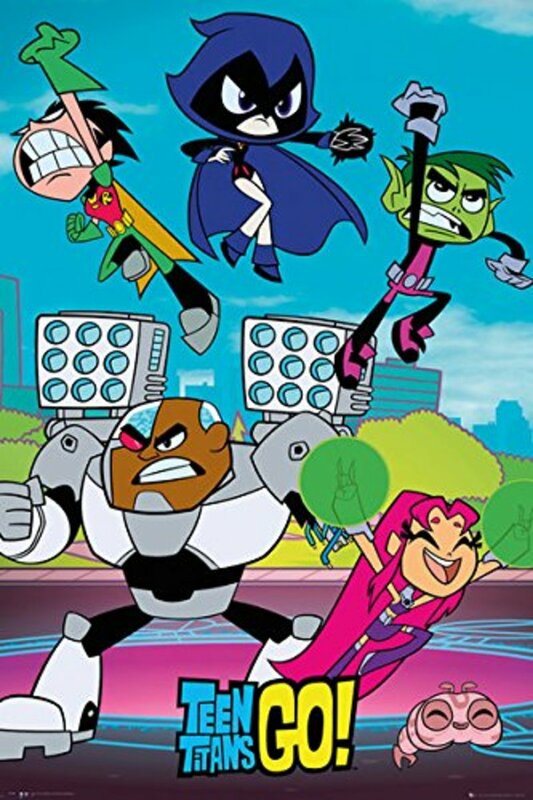 Have everyone divide into teams. 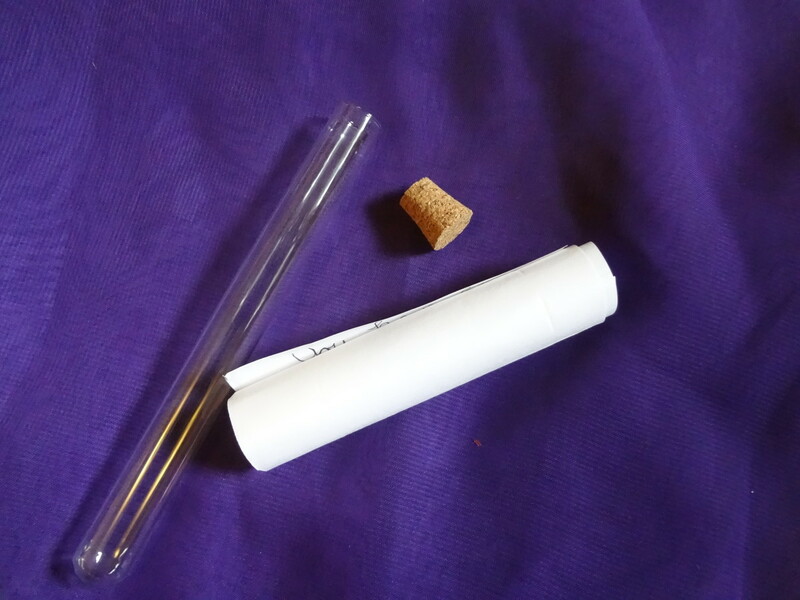 Do a relay to see who can get their test tubes to the finish line the fastest without spills. Make it more challenging by having them carry the tubes with tongs. Mix up experiments in these flasks. These beakers are great for experiments, props, and even for party drinks. Background party music is also a good idea to set a fun and spooky mood. There are tons of music ideas available depending upon what type of party you are having. If you are having the party around Halloween, then Halloween music in general will work for the party as well. Hazardous materials bags are great for holding treats. 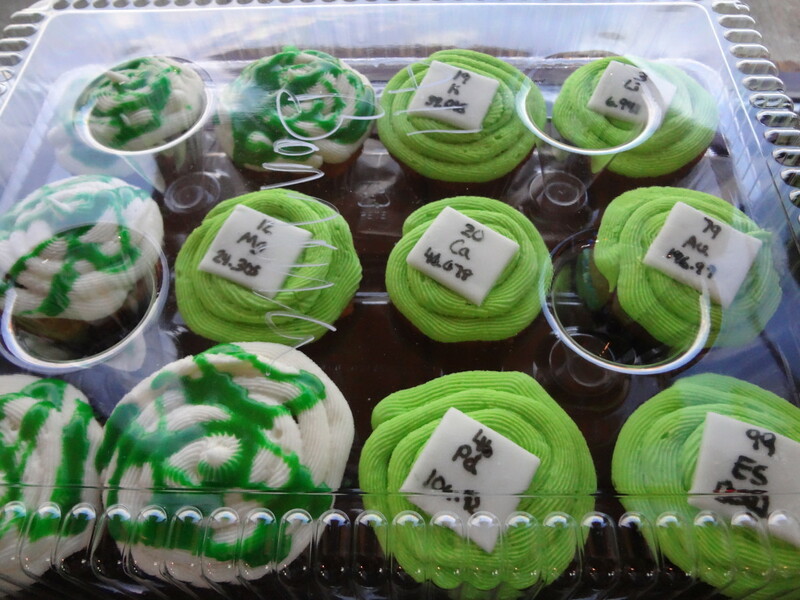 Give your guests unique science treats by using these cool things for goodies. Put candy in test tubes or Petri dishes for favors. 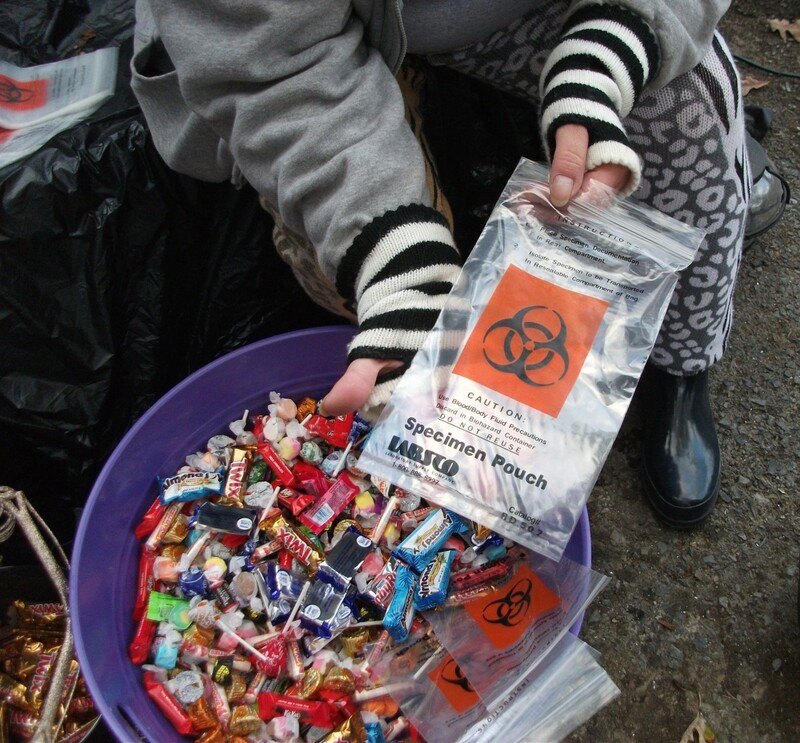 Use hazardous materials/specimen bags as treats bags. Oriental Trading is a great place to snag favors and party supplies. 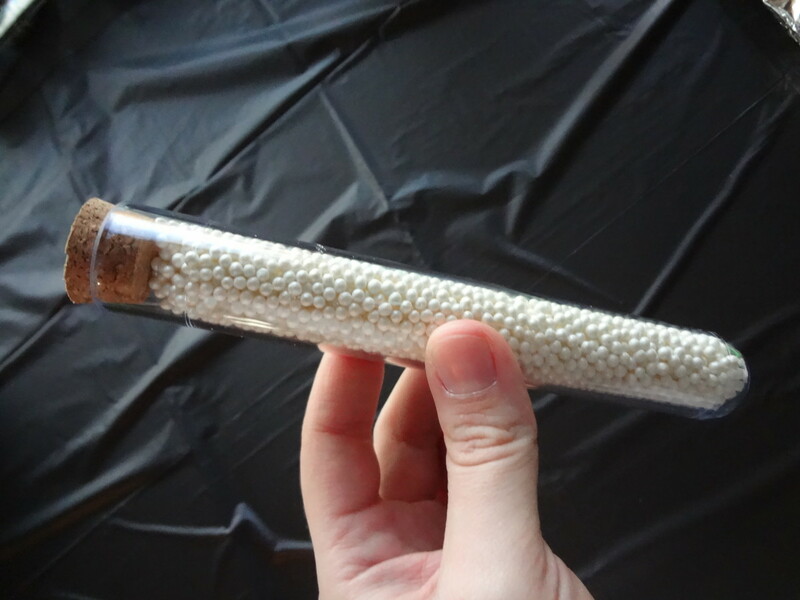 A test tube filled with bubbles that you can touch. Biohazard specimen bags work great for holding treats. Awesome information and very useful! MargGibson - The wall decorations came from Oriental Trading Co. They have a website. 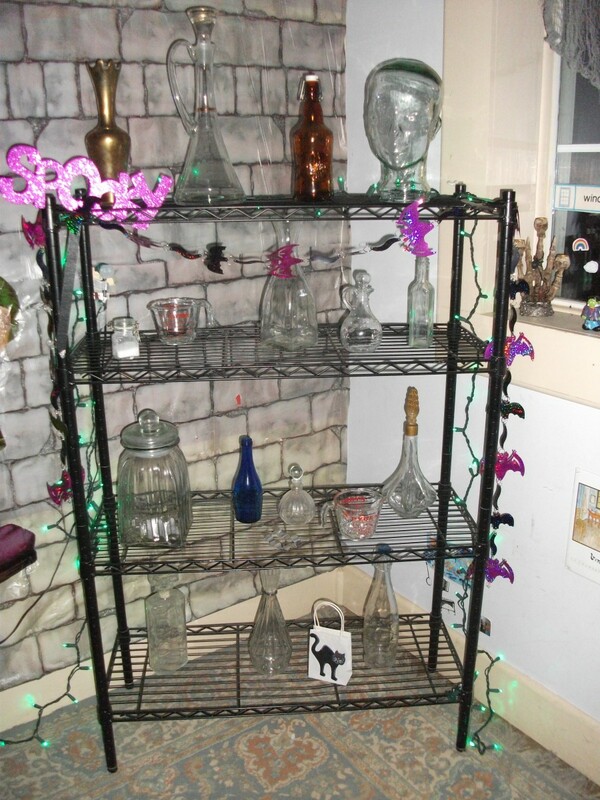 Where did you get the laminated shelf decorations with the flasks etc on them? 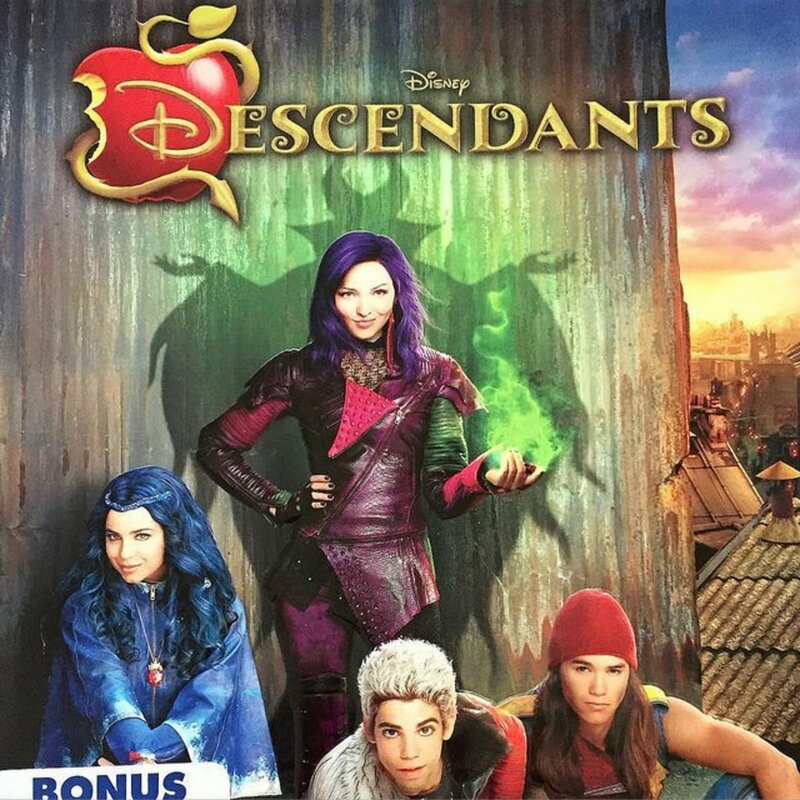 roxanne459 - Thanks so much! I love mad science! Amy Gillie - I bet your son will have a blast! Thanks! Nettlemere - Thank you! Hope everyone finds it useful. 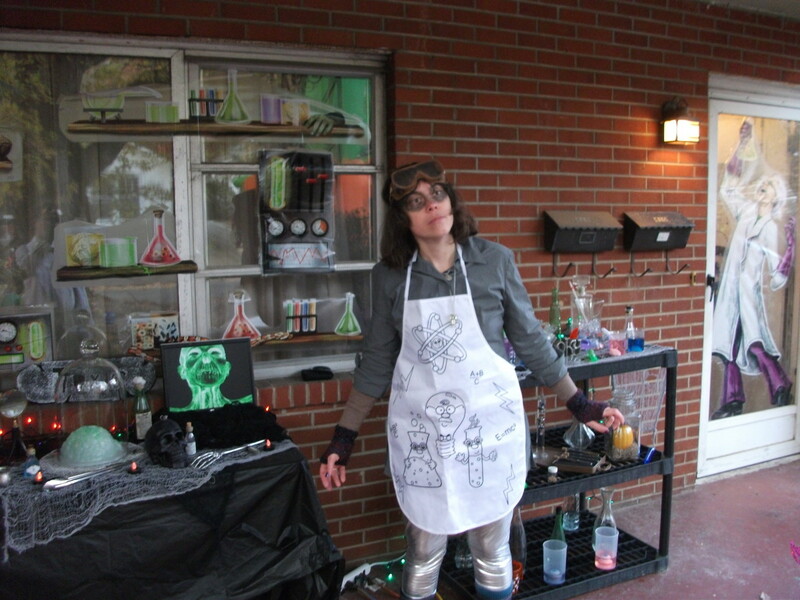 Marcy Goodfleisch - The mad science laboratory is definitely a Halloween staple. Thanks! Mmargie1966 - A party business is a future career possibility. :) Thank you so much! FullOfLoveSites - Thanks! Halloween is almost here and it is almost party time! Voted up, awesome, and shared! Cocopreme, have you ever thought of opening your own party business? You have, by far, the best party ideas I have ever heard! You cover games, illusions, glowing food and drinks, and themed music. What a GREAT party to host or attend!!! I plan to use many of your ideas! The ideas here are almost endless! My kids would have loved these - we did a spook house in our garage for a few Halloweens, and one sequence was the Mad Scientist Laboratory. Voted up, and shared! That's a seriously comprehensive hub with everything someone struggling for creative ideas could need. Brilliant! You've done it again! Looks like I'm having a mad science party for my son's next birthday!